If you're a new reader on the blog, you might not be aware that our first son Noah was a hefty 9lb 13oz at birth, and although he was 12 days overdue - it's definitely on the larger end of the scale for a first baby. Given that, with this baby I was immediately under Consultancy as Noah quite happily tore me to smithereens when he made his entrance into the world and of course nobody wants that again this time, no one more than me may I add, so I've had extra monitoring. 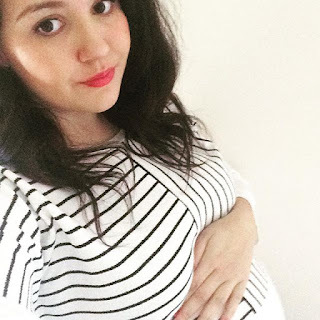 Along came the 28 week scan and a nervous John, my mother and myself sat in the sonographers room as she began to stretch the little measurement tool across Baby Dos's tummy and there were the words clear as day next to the measurement 32W1D. THIRTY TWO WEEKS AND ONE DAY. The only words I could manage to muster were 'Oh dear'. My midwife afterwards did try to play it down slightly insisting 'Oh you just like to grow them healthy', but I definitely wouldn't mind him just growing at a slightly slower rate. Although I was reassured by the consultant that he could have just had this growth spurt a little early and his growth might level off - I'm doubtful after my bump measurements still putting me 4 to 5 weeks ahead. My next growth scan is at 34 weeks which we'll discuss my 'Birth Plan' afterwards - of which early induction has already been mentioned. Although it is definitely slightly terrifying the possibility of birthing a baby any bigger than Noah, I've been advised the re-tear rate is actually only 5%, which is comforting. 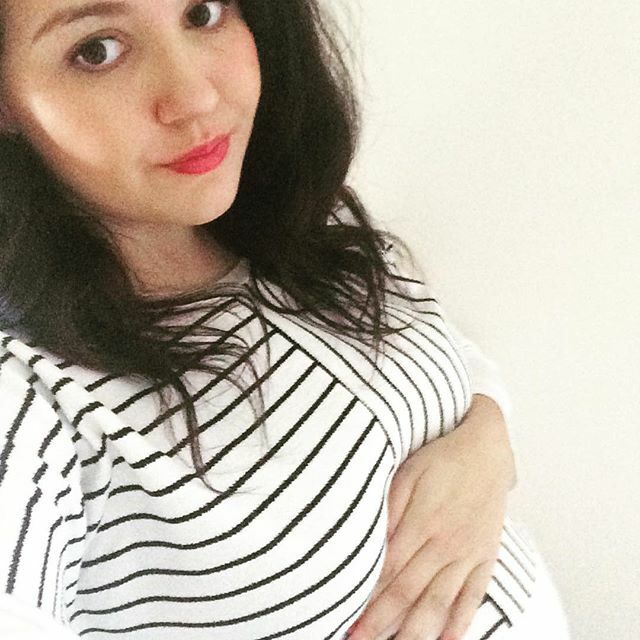 I was offered a elective c-section which I've chose to decline, I'm aware of the complications of giving birth to a larger baby 'naturally' it's still something I definitely want to do again and feel a c-section is uncharted territory to me and with this being my second child, I feel I'm going into a vaginal delivery with a little bit of background knowledge at least.